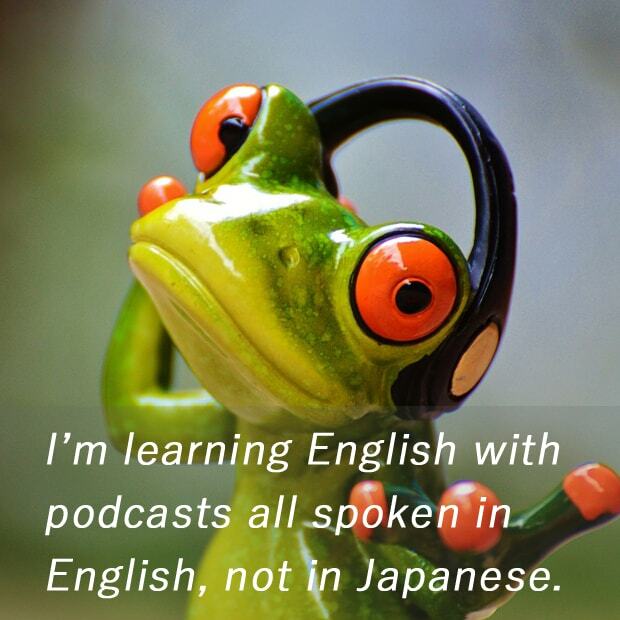 There are many kinds of podcast programs for learning English in Japan. However, if you are serious to learn English, and want to be fluent in it, I really recommend you to start listening to podcasts all spoken in English. Here it's the three simple steps to do it. Use the podcast application on your computer, tablet or smartphone in English instead of in Japanese. Rather than choosing a podcast program which are in Japanese, try to start with the one all spoken in English even if you're a very beginner. Most of the podcast programs offer transcriptions, quizzes and some other learning support tools. They are meant to be used in conjunction. So use those learning support tools as much as possible to understand how to use the word or phrase you've just learned. I recommend you to do this because it drastically improves your English pronunciation and the ability to make sentences. So I hope you'll enjoy learning English much more with this method. Thank you for reading till the end, see you next time!